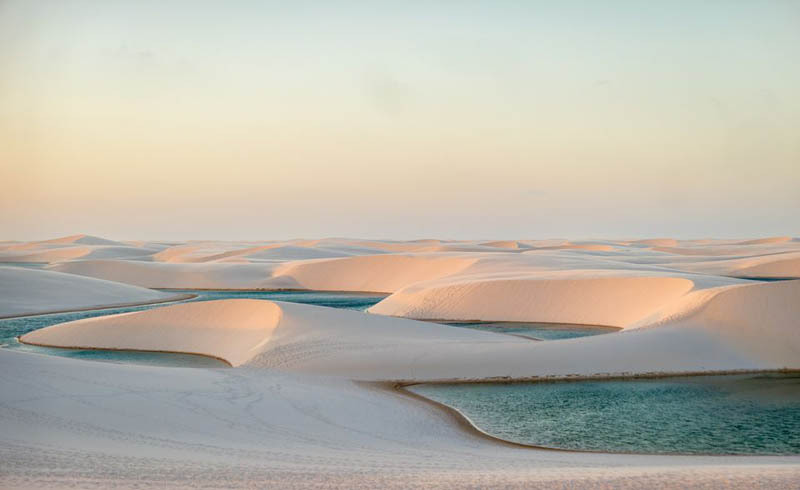 If you were to visit Lençóis Maranhenses National Park in northeast Brazil during dry season, you’d be blinded by a sweeping landscape of rolling white sand dunes (its name literally translates to “bedsheets”). 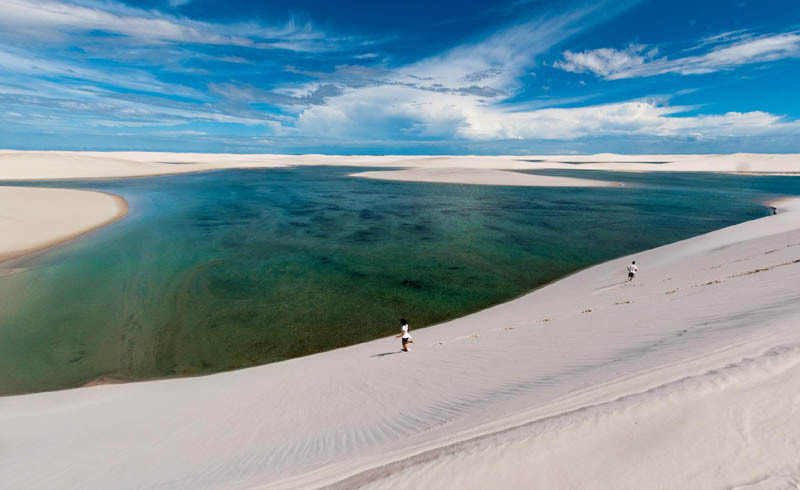 But from July through September, the stark scene turns, miraculously, into an oasis of countless emerald-blue lagoons. And yes, you can swim in them (the water reaches a soothing 87 degrees Fahrenheit). Here’s everything you need to know about this magical, little-known place. Wait, so where does the water come from? Out of the sky. Seriously. Lençóis might give off Saharan vibes, but the park is not technically a desert. With its January-through-June torrential downpours, it’s way too rainy. By July, the skies clear and the pools are at their largest, some reaching over 300 feet long and 10 feet deep. After September, however, the winds get more powerful and the pools disappear, as if they were never there, and the rainy season begins again. Are there fish in the pools? Actually, yes. Since the lagoons are connected to nearby rivers, fish find their way over (or stay burrowed deep in the mud between seasons).